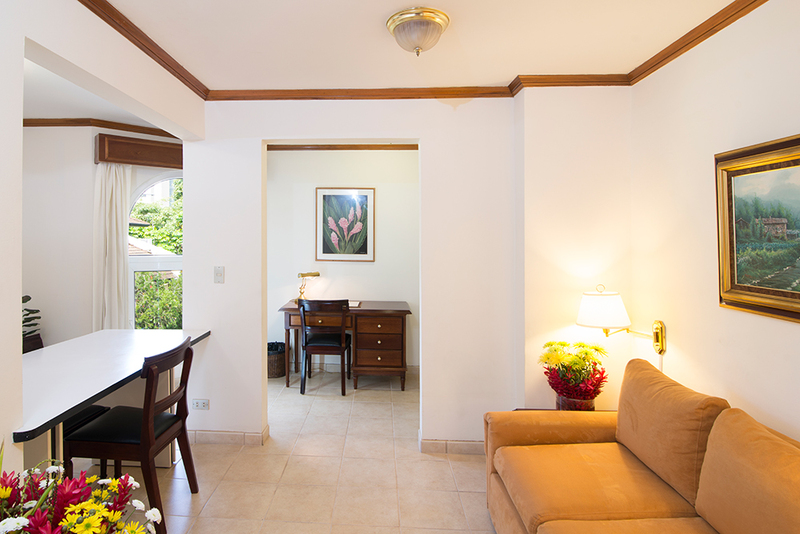 The Suite B is the perfect space for lone travelers or traveling executives. The master suite with a comfortable Queen bed, and the livingroom has a Twin sofa-bed for any extra guests. The closet is very spacious for your comfort. Also it fatures a fully equipped kitchen. To make you feel more satisfied at home, the Suiet B has a fully equipped kitchen, a breakfast area and Living Room. WFH is easier having your own desk and wifi available from your suite. A Queen size bed in a separated bedroom from the living space will host you.